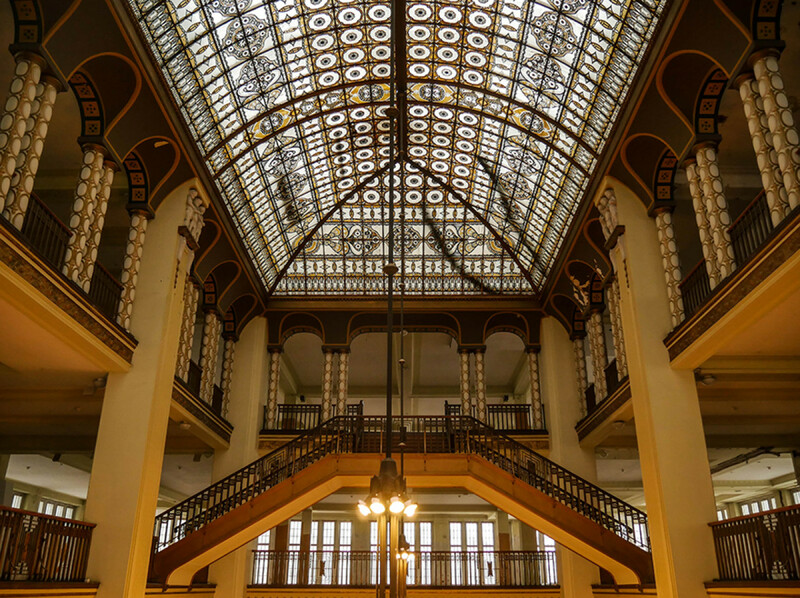 The Art Nouveau style of the Kaufhaus Görlitz was the perfect setting for The Grand Budapest Hotel's lobby. And, as luck had it, the building was not in use at the time of filming in 2013. 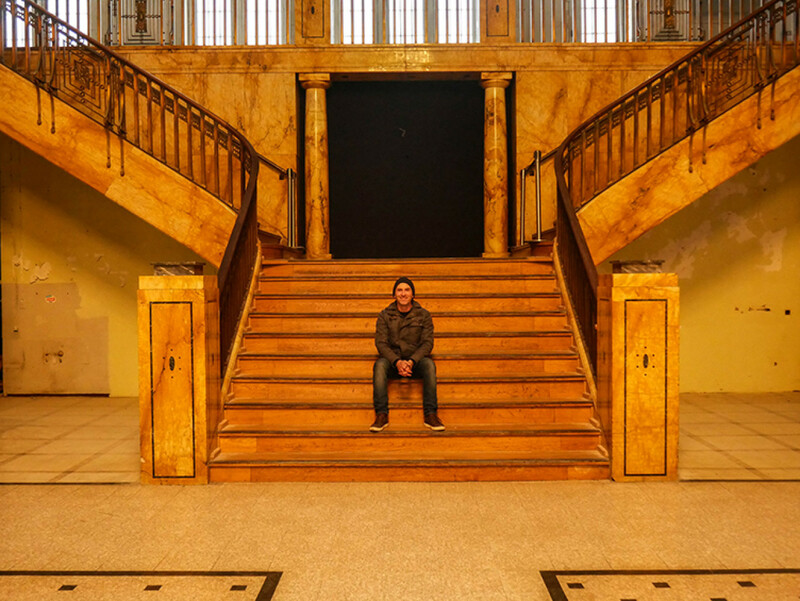 In fact, it's still empty now, but you can visit the ground floor on Friday afternoons. 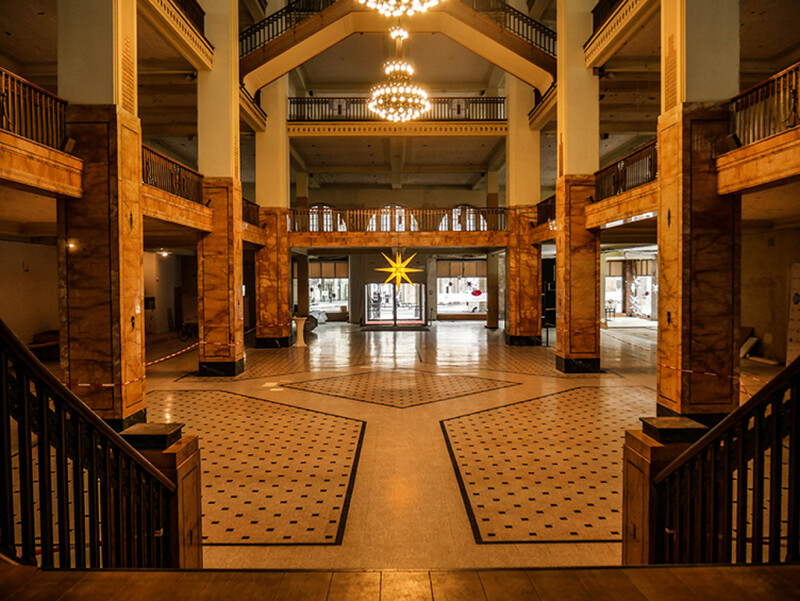 A private investor has plans to restore the department store to its former glory within the next two years. 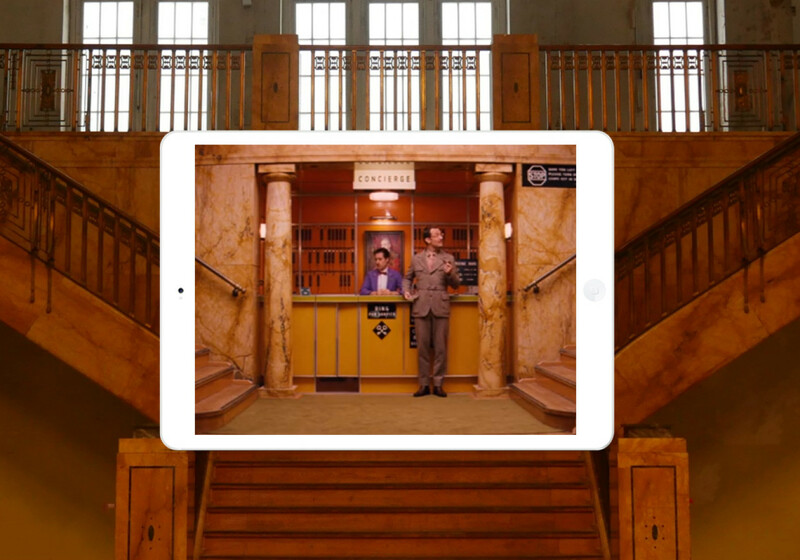 The interior is instantly recognisable - you literally step into The Grand Budapest Hotel. Looking back towards the main entrance. This is definitely one of Stefan's all time favourite locations. On the first floor, looking up to the second floor. 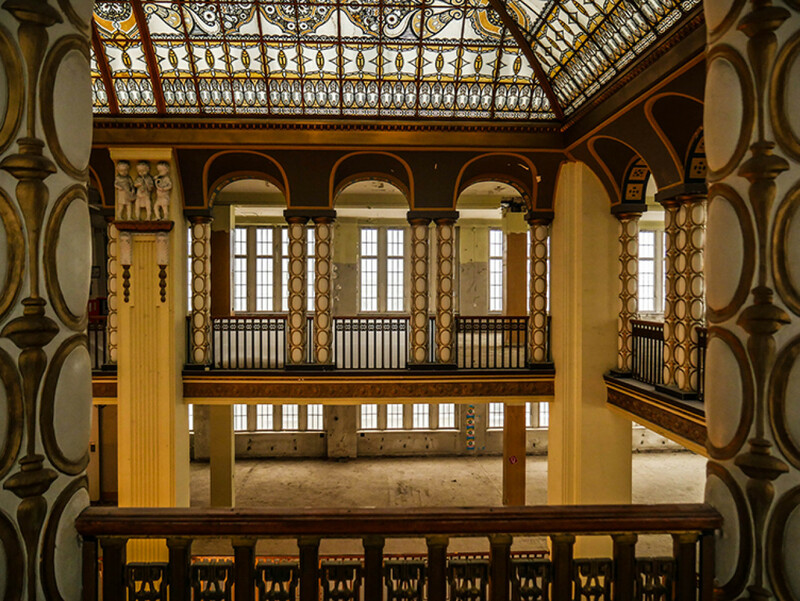 The second floor was used for filming the shoot-out scene. The art department put in fake walls and doors into the various rooms. 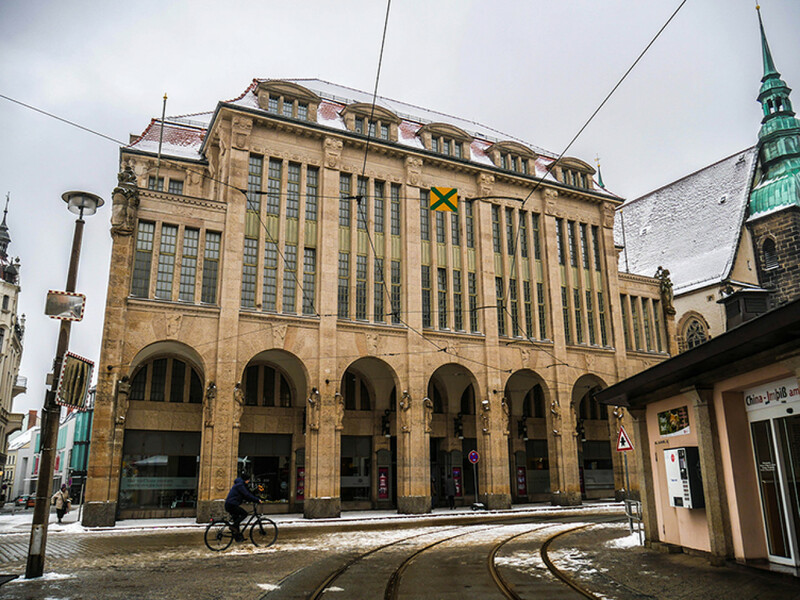 For more information about the history of the building and future plans for the restoration, go to the official website of the Kaufhaus Görlitz. 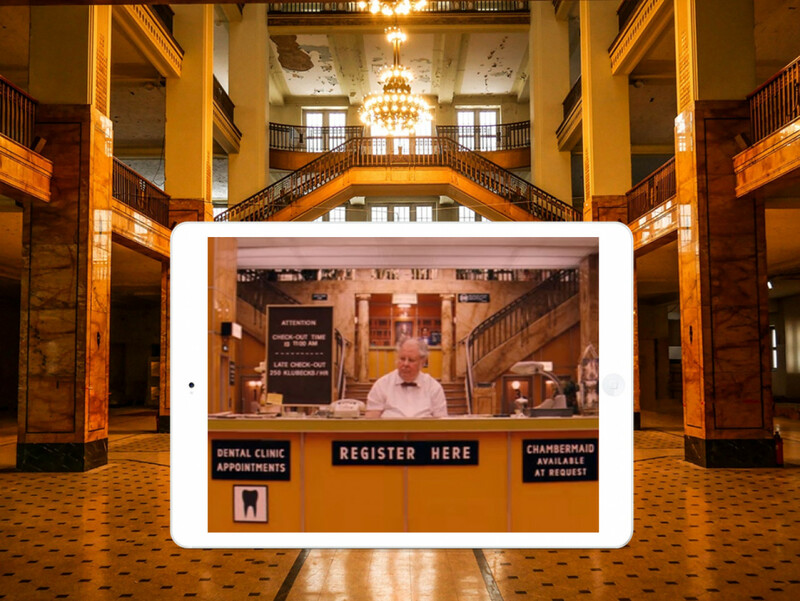 The city of Görlitz has a dedicated website to the various movies made in their city - which they've affectionately named Görliwood. 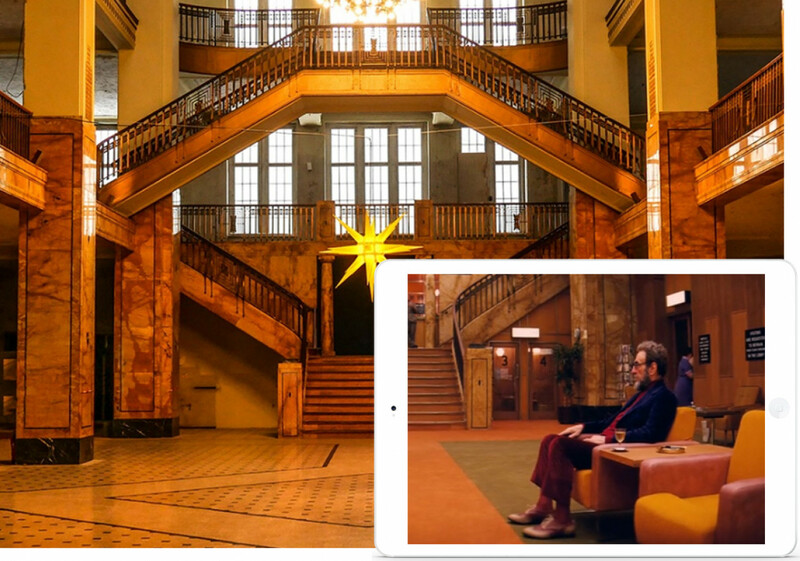 The lobby in the late 1960s when a writer played by Jude Law visits. Zero Moustafa, the mysterious owner of the hotel. The exact positions of all four locations are marked on the map. You need to zoom in to identify the individual location pins.